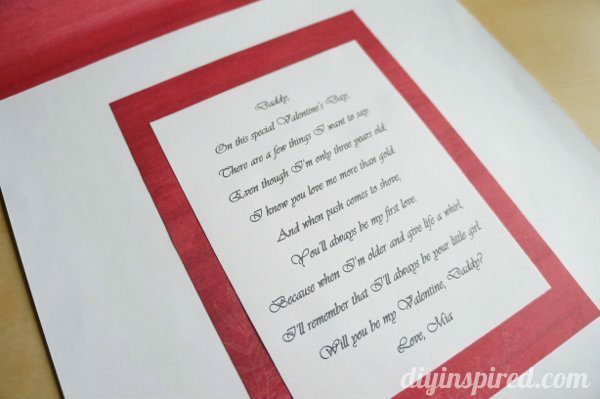 Valentine’s Day is right around the corner so today I am sharing a fun recycled Valentine that my daughter and I made for my husband a few years ago. 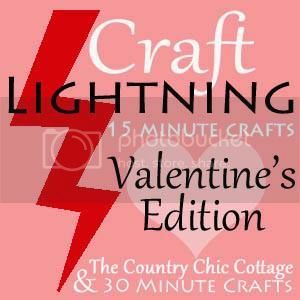 This craft only takes fifteen minutes (or less) to make. 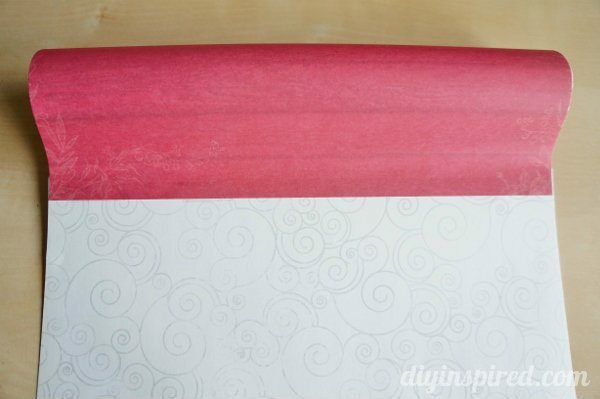 Simply change the colors and patterns of paper to fit the holiday or celebration. 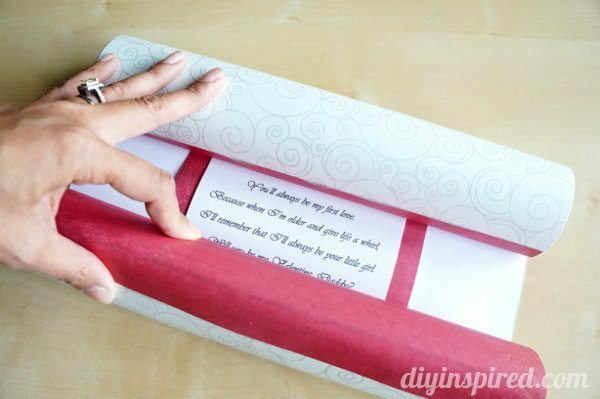 Here is how we made our Paper Towel Roll Valentine Scroll. First cut two pieces of paper (in the same color) with a paper cutter in 8X11 pieces. 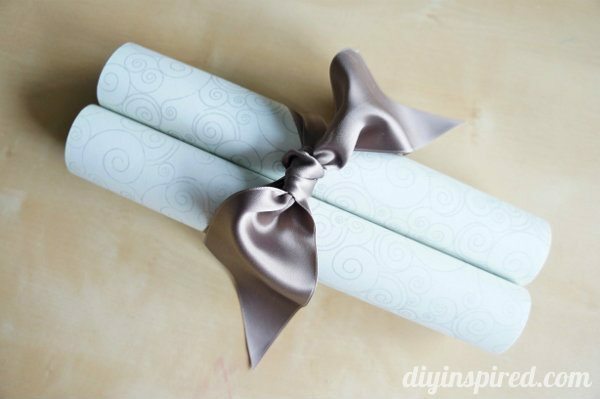 These will cover the paper towel rolls at each end of the scroll. 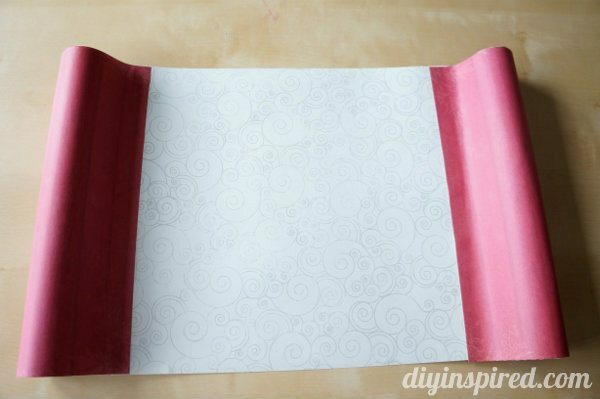 Cut a third piece of scrapbook paper in a size 11X12. This will be the center piece that the letter is on. 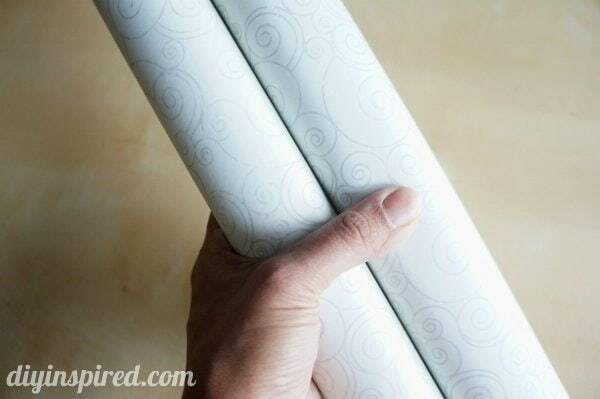 On both of your 8X11 pieces, place double sided tape (or glue) down the center to secure each paper towel roll. Next tape one of the paper towel roll ends to the center piece as shown. 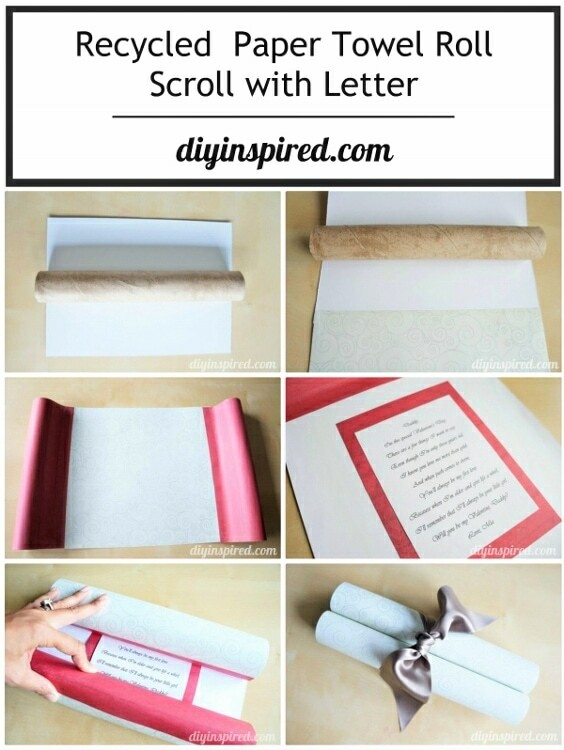 Fold it over and secure it with tape or glue. There are a few things I want to say. I know you love me more than gold. You’ll always be my first love. I’ll remember that I’ll always be your little girl. Will you be my Valentine, Daddy? …and the patterned part on the outside. 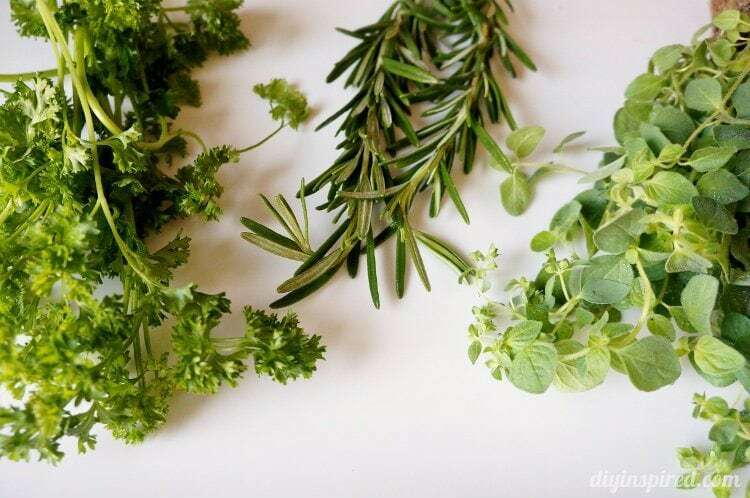 Lastly, add a pretty bow! 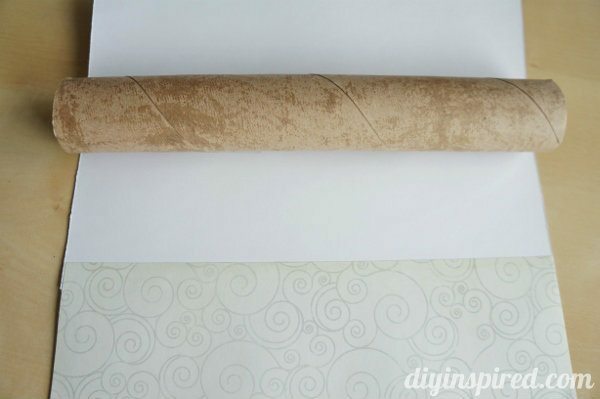 Oh, I never would have thought to make a scroll from old paper towel tubes! Genius! 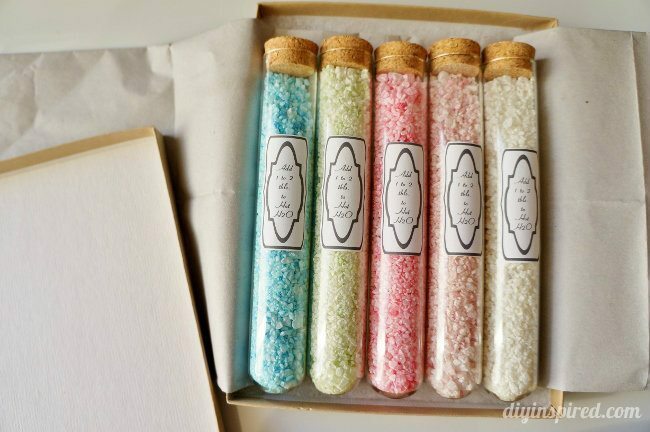 That is such a cute idea!! Daddy is one lucky guy!! Awe!! 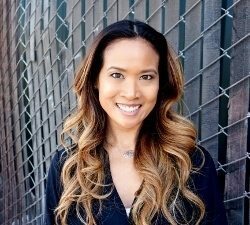 Thanks, Angie! He saw the post yesterday… ooops! Ha! I love this! And that poem is awesome as well! I’m sure if he sees this before Valentine’s Day, he’ll get to love it two times, right? That’s what I’m hoping!! Thank you, Carolina! So cute and clever! 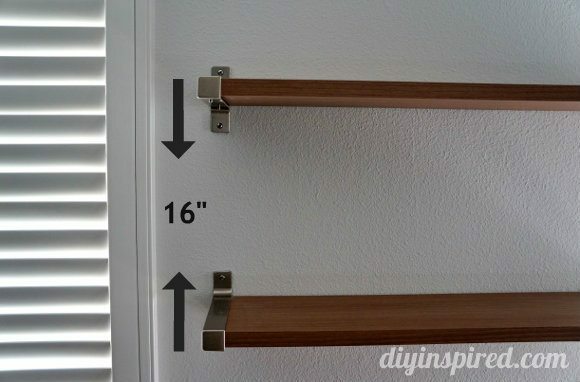 My boys would love to help make one of these for their daddy. 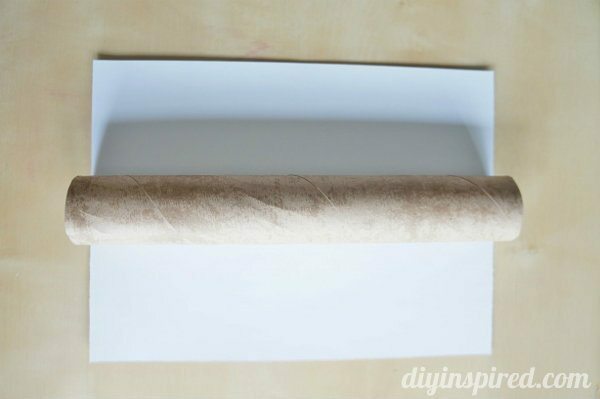 I’m going to start saving paper towel rolls now!